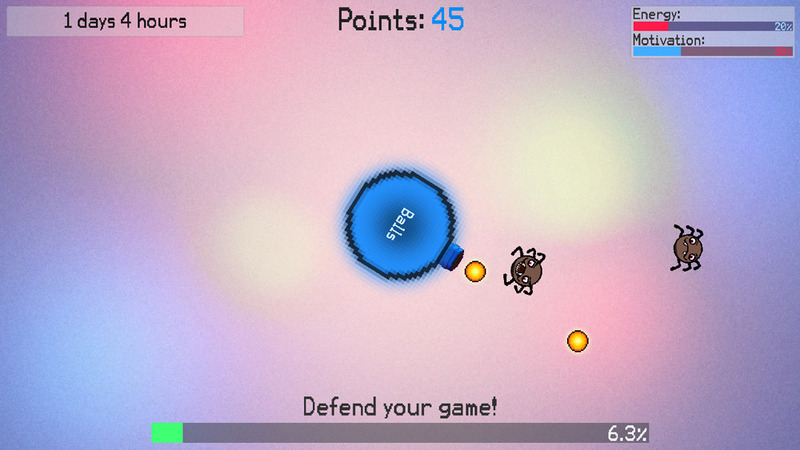 "A top down shooter where you need to keep your motivation up!" 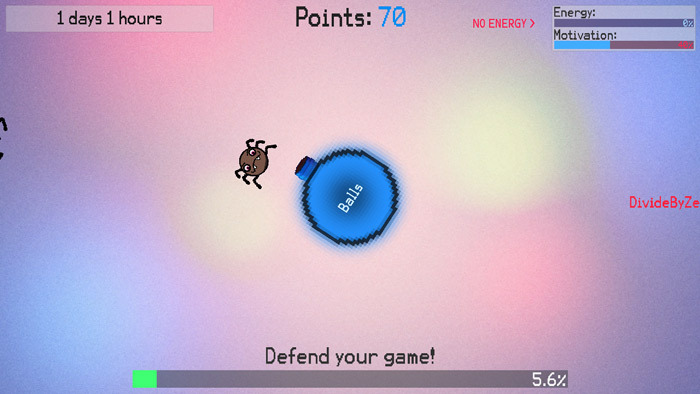 Finish Your Game is a top down shoot 'em up game where you play from the perspective of a lazy game developer and the shooting of spiders represent determination and motivation to keep developing your game. 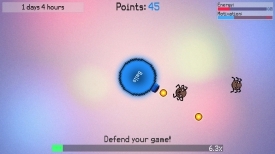 You start off by naming your game which will then appear on your gun turret, you remain stationary but can move the turret around to defeat the oncoming spiders but if they get past you and attack you will notice both your energy and motivation bars being affected and if either of these should reach zero then it will be game over and your game will never be made! 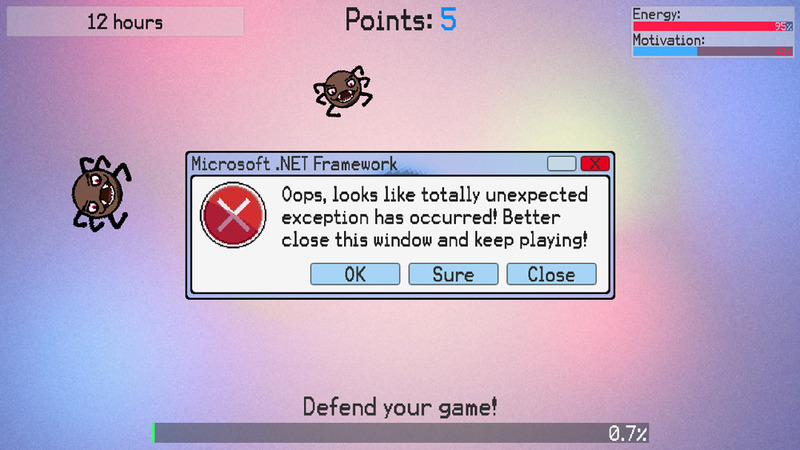 Too make things even more difficult at random points you will get a pop-up style notification which you will need to close to get back to shooting off all those spiders, however click the wrong option and the notification will continue to pop up and cause you further problems as every time this happens it will leave you exposed to the attacking spiders. Although Finish Your Game is pretty simple it is also incredibly challenging and addictive in it's easy to pick up game play, but with the amount of times you will get game overs will you ever finish your game? You can download Finish Your Game here for free.